As your loved ones age, they're probably going to need some assistance with certain aspects of life. Some things that they were able to easily do in their younger years just aren't doable anymore. There might also be a struggle to complete activities that rarely even had to worry about in the past. Needing assistance with everyday tasks can be embarrassing, but there's no shame in asking for help. That's where you come in. Here are a few ways that you can help your elderly parents or other loved ones during this stage of their life. MetLife Mature Market Institute reports that every year, elder abuse through financial exploitation ends up costing at least $2.9 billion. It may strike you as sad to think that there are so many people out there who take advantage of elders, but financial fraud can be prevented. Make sure that you are involved in your aging loved one's finances, either taking over their checkbook entirely, or warning them about some of the common scams out there. Working with experienced financial advisors can also ward off exploitation, and help avoid any serious money issues down the line. Unfortunately, many elders struggle with cognitive issues, leading them to make poor financial decisions or wrongly trust someone who is planning on exploiting them. We have to watch out for these con artists and financial exploiters to ensure that our loved ones are protected. One of the most difficult conversations someone can in life is about what will happen after they pass. You want to make sure that your loved ones know their family will be safe and secure for the future and that they won't have to worry about anything. Working with probate lawyers can help ensure that you have a legal will in place for your loved one that will clear up everything when they pass. The death of a family member -- no matter the age -- is always hard. The last thing anybody wants is to have more stress piling on during that already difficult time. Proper estate planning and probate planning will help. Wholly 55% of all American adults do not have an estate plan or will in place. Even more shockingly, 41% of Baby Boomers do not have a will. Working with professional estate lawyers and probate lawyers can provide you and your family with the necessary assistance. When your parent or loved one reaches an age where they can no longer look out for themselves, it's up to you to provide them with proper assistance. 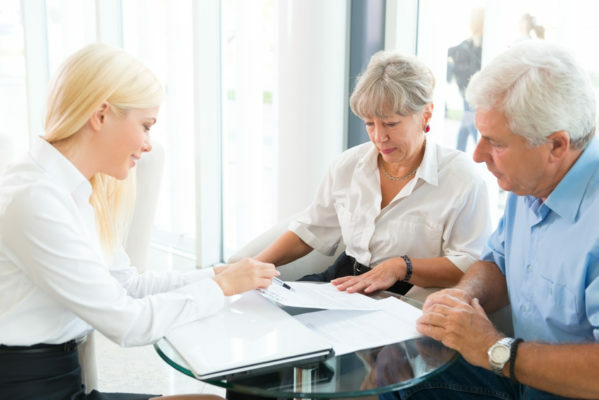 You must do everything possible to protect them from anyone attempting to take advantage of them; as well as consult with experienced probate lawyers about crating a will, organizing all their finances, and helping them stay as healthy as possible.